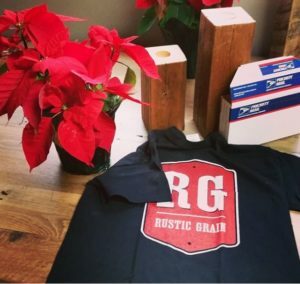 At Rustic Grain, we love working with wood, but we love working with our customers and fans even more. 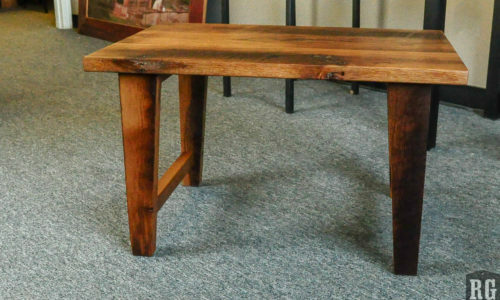 A year or so ago, Emi reached out to us because she saw our tables at Llewelyn’s and wanted something similar to use as a desk in her room. 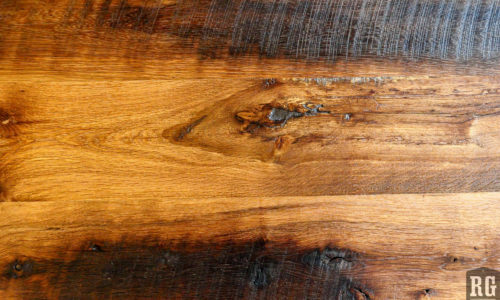 While we really wanted to help her, a teenager’s budget does not include custom woodwork. Still we felt the love and sent her a t-shirt. 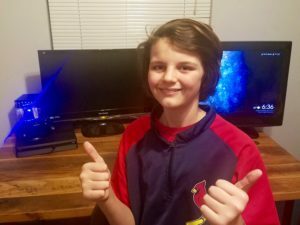 During ongoing discussions with Emi’s parents, we came into some inventory that would let us give her a desk that fit her needs. Working around projects and with much patience from Emi, we finally got her the desk she wanted way back in 2016. 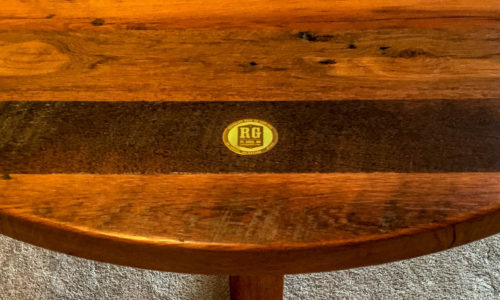 At Rustic Grain, we are committed to building heirloom-quality pieces, which isn’t how a lot of furniture is sold or how a lot of people can buy these days. Our customers make hard choices to align their priorities and their budgets. We’re honored when they consider our work to be worthy of their choice. And when we can, we love to help out our fans who support us in the best way possible–sharing our name with the world. So here’s one for you, Emi! Enjoy your desk! Fans like you make the hard days worth it! 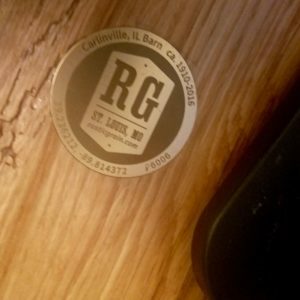 Want to visit the tables that inspired Emi to contact us, visit Llywelyn’s Pub in St. Peter’s, MO.